Trump ordered his chief of staff at the time John Kelly to grant Kushner security clearance despite warnings from intelligence officials and White House lawyers, the New York Times reported on Thursday. In an interview with New York Times in January, Trump denied any involvement in helping secure the top-level clearance for Kushner. Last year, Kushner's interim security clearance was reportedly downgraded from Top Secret/SCI-level to the Secret level. 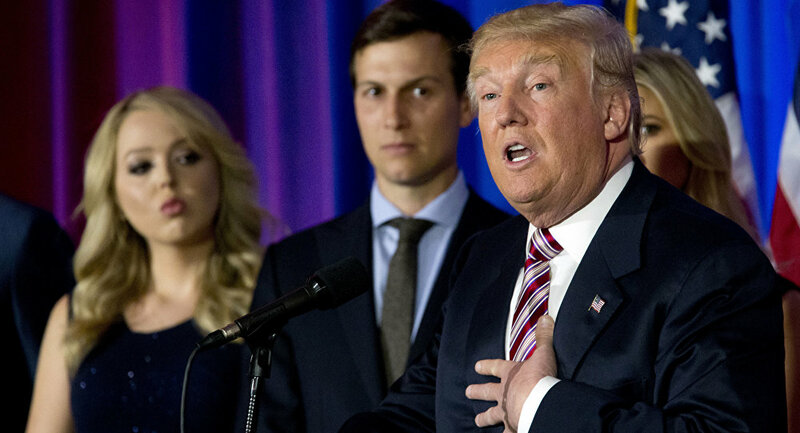 According to NBC News, two White House security specialists rejected last month Kushner's application for a top-secret clearance after a FBI background check raised concerns about potential foreign influence on him, but they were overruled by their supervisor, according to two sources familiar with the matter. NBC News also reported, citing sources familiar with the matter, that Kushner's FBI background check identified questions about his family's business, his foreign contacts, his foreign travel and meetings he had during the campaign. According to the broadcaster's sources, Kushner sought to obtain the highest security clearance level to access the so-called sensitive compartmented information (SCI), which is the most classified type of data in the United States, but needed to get a lower, top secret clearance first. While the US Central Intelligence Agency (CIA) must be the one to grant SCI access, the White House could also issue a top secrecy clearance. Meanwhile, the White House spokeswoman Sarah Sanders has told the reporters that the administration does not comment on security clearances.